Family and friends may call at the Amos Carvelli Funeral Home, 201 Edison Street, Nutter Fort, WV on Thursday, March 28, 2019 from 2:00 p.m. to 8:00 p.m. The funeral service will be held at the Amos Carvelli Funeral Home on Friday, March 29, 2019 at 11:00 a.m. with Pastor Quinton Pitts and Pastor Steve Felder of Horizons Church presiding. Interment will follow at the Seventh Day Baptist Church Cemetery in Lost Creek. Judy Kay Lowther, 72, of Jane Lew, WV and formerly of Lost Creek, passed away on Sunday, March 24, 2019, at the River Oaks Nursing Home. She was born in Clarksburg, WV, on April 20, 1946, the daughter of the late John Baxter Newlon and Margaret Bruffey Newlon. She is survived by her husband, John E. Lowther, whom she married on January 27, 1968, and resides at their home. Also surviving are one son, Michael Shawn Lowther; one grandson, Taven Michael Lowther; one half-brother, Clifton Newlon and Taven’s grandparents, Monica and Bob Throckmorton. Judy was retired from the Harrison County Board of Education with 37 years of teaching at the Lost Creek Elementary School. She was a member of Lost Creek Horizons Church since its establishment, where she belonged to the quilting club. 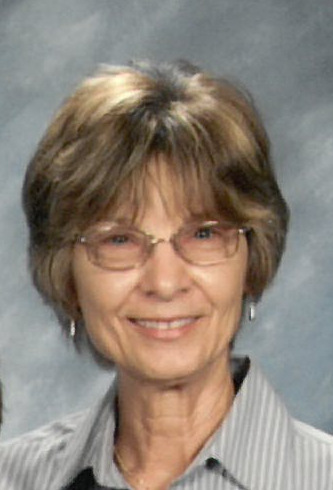 Judy was a member of the Harrison County Teachers Association, the West Virginia Education Association, and the Association of Retired School Employees. She enjoyed the outdoors, horseback riding, and fishing. Judy especially enjoyed traveling and vacationing with her husband in Aruba, Hawaii, Alaska, and Disney World. She will be sadly missed by all who knew and loved her. Expressions of sympathy may be extended to the family at www.amoscarvelli.com Amos Carvelli is privileged to serve the family of John and Judy Lowther.